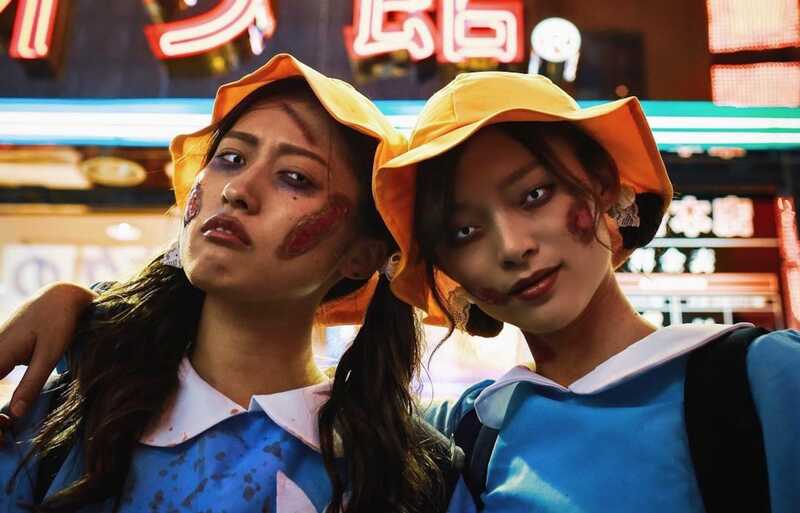 Every year, locals and foreign visitors gather around Shibuya for what’s recently become Tokyo’s biggest unofficial outdoor Halloween event. Held on the weekend closest to Halloween, thousands of people come together to see and be seen while strutting their stuff in a variety of costumes to celebrate the spooky holiday. 2018's weekend was the biggest turnout yet, with approximately 70,000 people in the vicinity on Saturday night alone. Videos and photos from the weekend show just how many people came out for the street party, and all the weird and wonderful outfits that came with them. ... and even zombie Ronald McDonalds! There were plenty of nurses, cops and SWAT team members keeping an eye on the crowd. And Power Rangers were also there to look after citizens, though they were seen taking a time-out from Power Ranging. Some of the Halloween costumes seemed easy to put together, like these men who simply donned ZOZO suits. Other outfits, though, appeared to take a lot more time and imagination. For some partygoers, Halloween was the perfect time to reveal their flesh in some skimpy outfits. Others turned heads with their crossplay skills. Is that you, Naomi Osaka? With October 31 rolling around tonight, it’s not time to put away those Halloween costumes just yet! Despite landing on a weekday, the last day of the month will still draw some crowds to the Shibuya area, so provided that officials don’t put a ban on the event, we should be seeing more costumes in the area shortly. See even more crazy costumes in the original article from SoraNews24 at the link below!